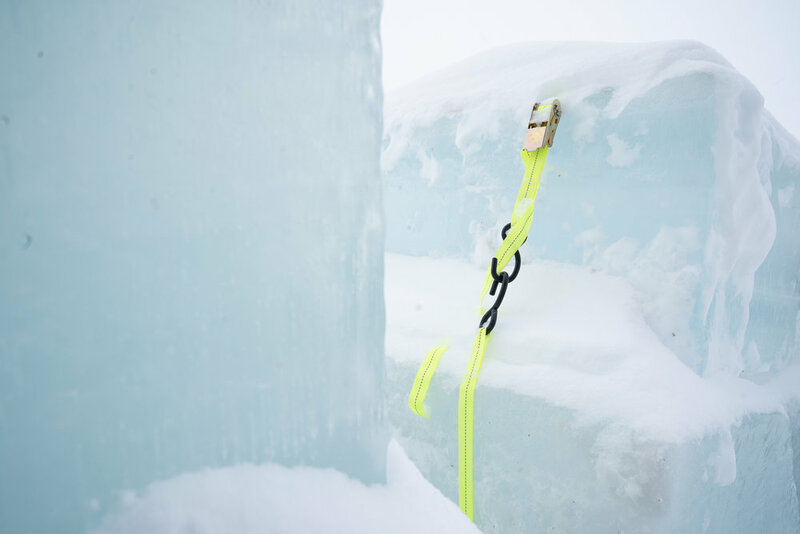 We would like to say a huge thank you to our gracious sponsor Ustekveikja Energi, who covered all the costs of our ice extraction for 2019! The ice sounded absolutely wonderful this year, with Terje stating that it was up with the very best sounding ice he’s ever played! 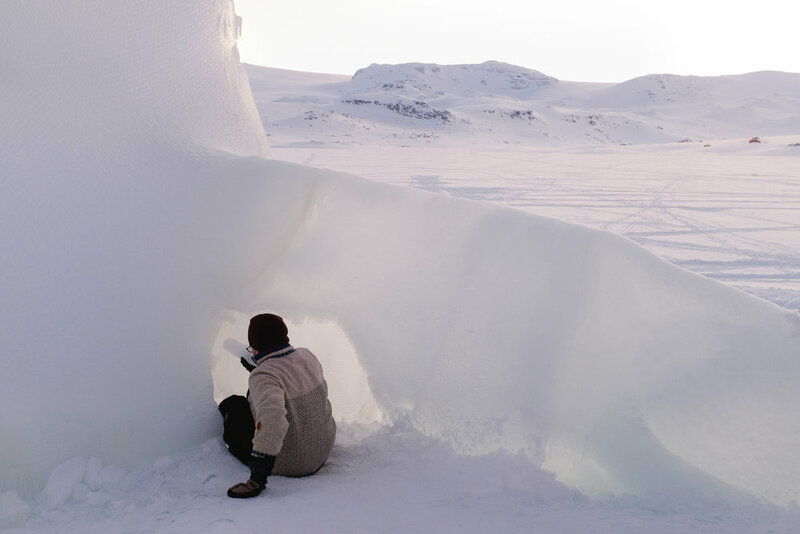 If would you like to discover how the climate destroyed our 2019 venue, then we are fitting in an extra talk at 4pm, straight after Greenland Ice Cap & Science performance with Silje Smith-Johnsen from Bjerknes Centre for Climate Research and Terje Isungset. 2019 will be be remembered when we renamed the Ice Music Festival Norway venue the ‘Climate Battle Arena’. Yes, this week’s weather in Finse was epic and the combination of storm force winds and spectacularly out of season temperatures (Feb 15th 1+ºC degrees in Finse, feeling like May 17th) we had no choice to change our venue location for the opening of our first Ice Music Festival Norway concert of 2019. 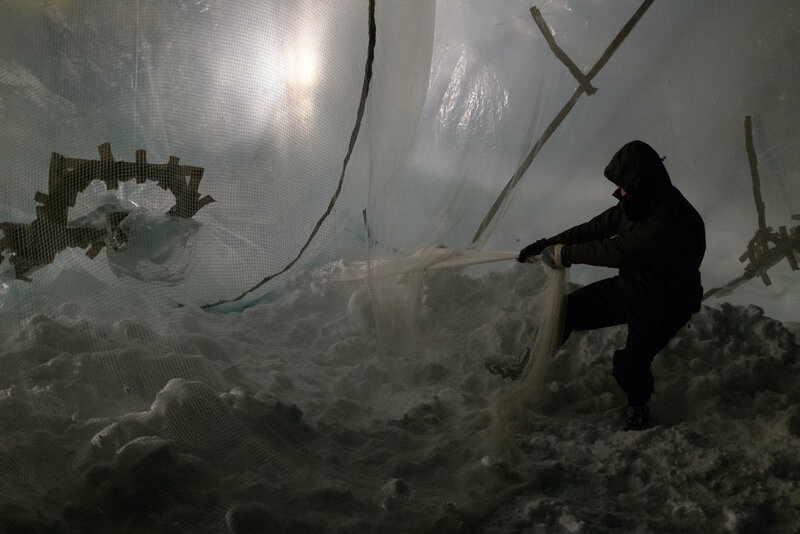 A later post will detail the extreme lengths and methods that were employed to save the original ice dome venue concept, but for now, we’re really looking forward to welcoming you to the second day of Ice Music Festival Norway 2019! Wear warm clothes at 5pm today! Yes, the weather apps may say that it is warm here in Finse but don’t be fooled and pack your swim shorts as the wind is very high and the windchill is low. So please. pack your warmest clothes for our first concert of 2019’s Ice Music Festival Norway. We have battled the weather all week, with high winds and highly unusual warm temperatures - the locals in Finse say that the temperature is for late April, early May - not mid February! That said, staging such a unique festival outdoors requires perseverance, skill and an understanding of working with nature’s elements. After all, we can’t control the climate and the climate is certainly changing! Our second year at Finse is providing a common theme - wind. Cold, strong wind. However that’s the nature of creating such a unique festival in winter - at the mercy of the elements. We’ve been ambitious this year with a large, interconnected dome venue, which is working out really nicely. With musicians and artists arriving tomorrow to start making their instruments, we’d like to show you few working progress shots of the crew battling the wind and snowfall. Such fun! 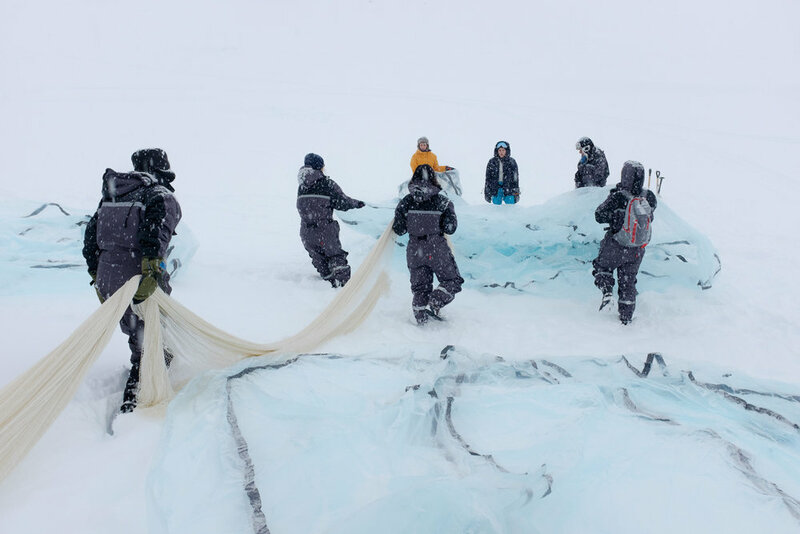 Today saw the arrival of the first part of a crew from the University of Bergen’s Faculty of Fine Art, Music and Design (KHiB) who will be creating this year’s Ice Music Festival Norway venue. 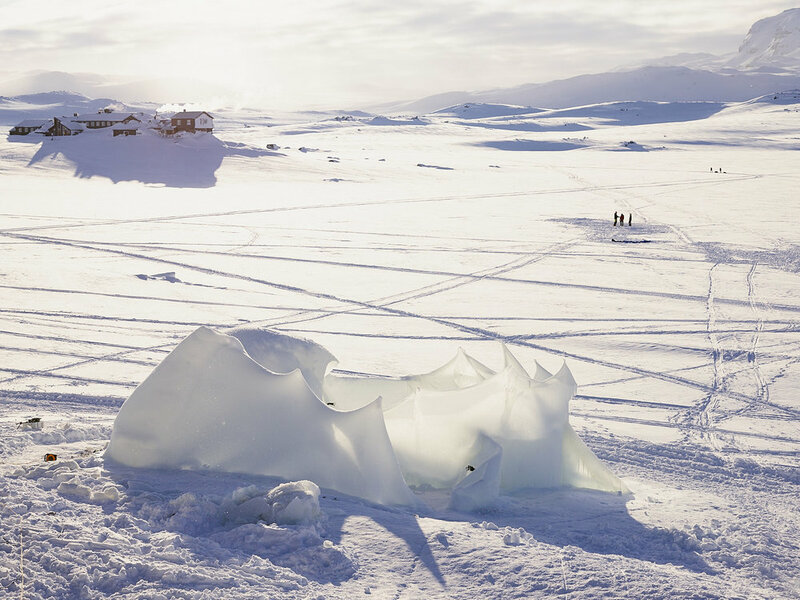 Formed of talented architectural students, led by Professor Petter Bergerud, an architect who's a leading master of experimental structures and geometric challenges - a perfect CV for overseeing the specialist needs of our Ice Music Festival venue. There are grand plans afoot and every grand plan needs a beginning, so the first area was marked out ready for construction starting tomorrow. Please check into this news page, our Facebook & Instagram accounts for daily updates, where you can see their progress. Our 2019 programme is packed with amazing music, art and science, with these super people participating; Kjetil Møster, Mari Kvien Brunvoll, Ivar Kolve, Snorre Bjerck, Bendik Baksaas, Terje Isungset, Kerim H Nisancioglu, Silje Smith-Johnsen, Maria Skranes, Daniel Herskedal & Bjørn Tomren. With the Ice Music Festival Norway’s 14th year ready to begin in under a month from now, we want to inform you that the 3 day festival passes have sold well, with only a few remaining. So if you intend to attend all the festival’s events, then don’t miss out on the 3 day pass savings - as you’ll see and hear all our amazing musicians and artists performing in 2019’s Programme. If you like what you see and hear above, then head over to our TicketMaster store to book your festival passes for our 14th annual Ice Music Festival Norway. Combing world class musicians and nature’s sensational seasonal gifts of snow & ice, our unique festival offers audiences a chance to experience music created in an icy, aural winter wonderland. Hello Ice Music Festival Norway fans of the world, we have added some information about how to get to festival and where to stay. Take a look at out Information page. Good morning Ice Music fans of the world! In addition to our amazing programme announcement, we are now pleased to offer individual concert tickets alongside our popular festival passes - just head over to our TicketMaster shop to purchase. We really appreciate all the media coverage our unique sounds attract each year (see some highlights here) and we’re chuffed to make many ‘must-do’ lists each winter, including the team over at American Express Essentials who are featuring us for February 2019 in their membership magazine. Thanks you! Kerim H Nisancioglu & Silje Smith-Johnsen from Bjerknes Centre for Climate Research. Kerim is Professor of Climate Dynamics in the Department of Earth Sciences, University of Bergen. Art and science! How to combine these? 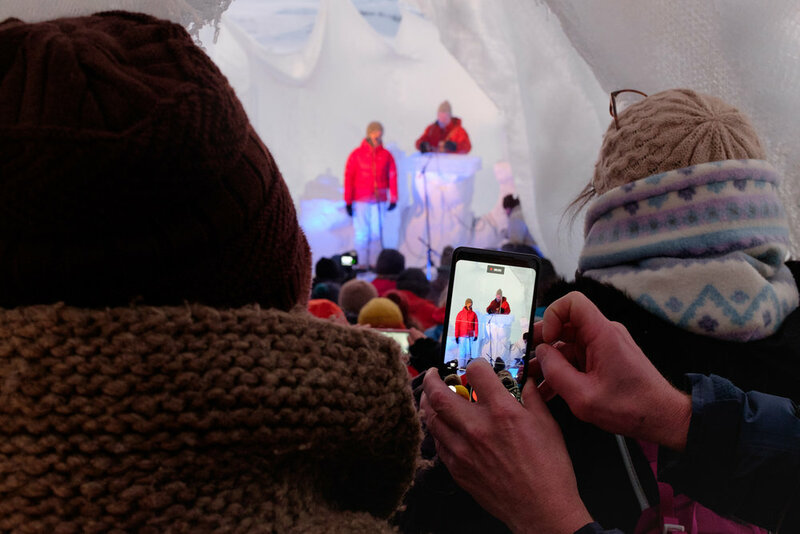 Collaborating for many years now, Kerim & Terje have presented climate science and the perils of a accelerated Arctic ice in schools, festivals and concert halls in an accessible and informative way. 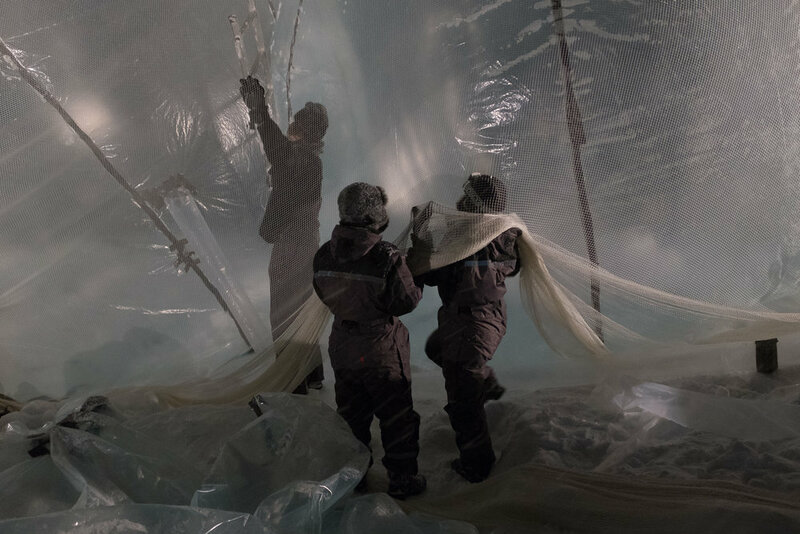 Earlier this summer, they went to the top of the extremely remote Greenland Ice Cap as a part of the amazing Eastgrip project. 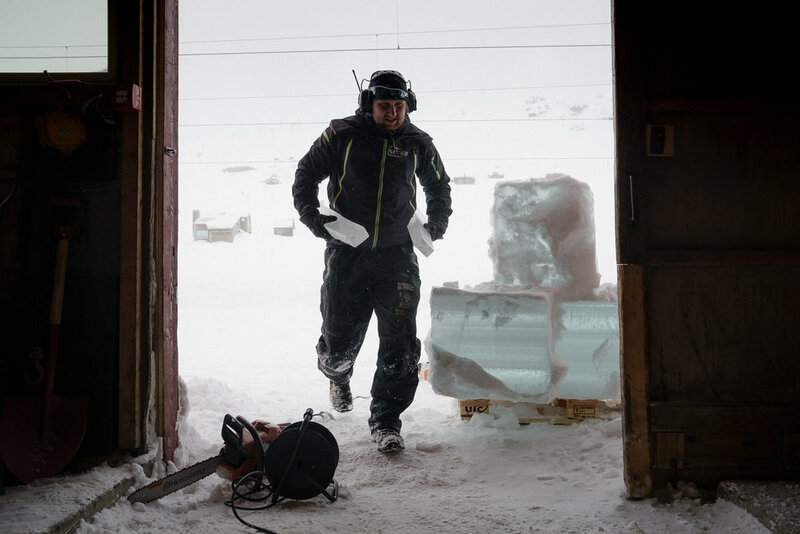 In 2019, fellow Eastgrip Project scientist Silje will bring ice from the Greenland Ice Cap (that was used for climate research) to Finse, where Terje will perform his aural magic with the ancient and special ice. We are really pleased to announce a partnership with the world renowned Finse 1222 Hotel located in the heart of Finse’s dark, wintery landscape. 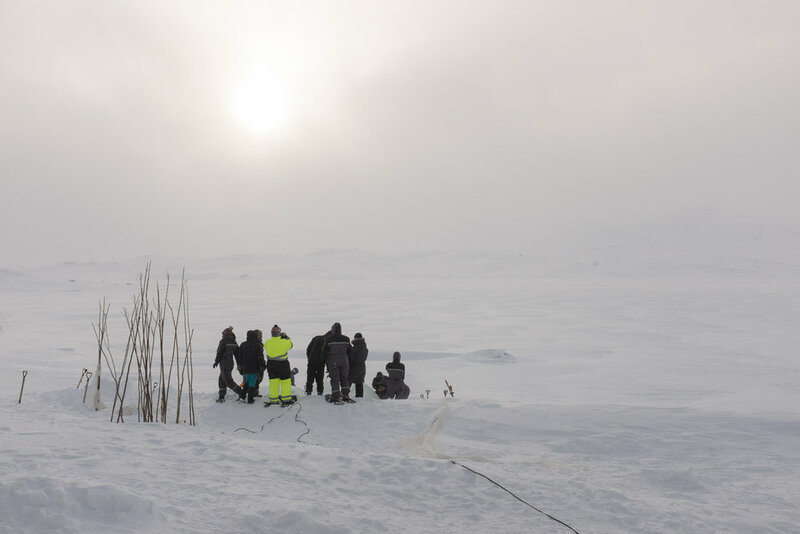 Offering incredible views across Finsevatnet and onto the Blåisen & Hardangerjøkulen glaciers, the team at Finse 1222 offer the same warm welcome they gave to the Empire Strikes Back film stars & crew when they filmed the Ice Planet Hoth scenes! 2019 Tickets Now For Sale! Super news today, as tickets and full Ice Music Festival Norway passes for February 2019 are for sale over at our Ticketmaster shop. Terje is working hard to finalise the programme to ensure we put on another mesmerising festival of icy, ethereal music performed in a spectacular venue. Artist line up will be announced soon. February 14th - 16th 2019 will be our second year playing under the dark wintery skies of Finse and the 14th consecutive year of our unique music & art festival. If you would like a taster of what to expect, check out the clip below from the BBC The Travel Show, as they visited us in Finse this winter passed. Please follow us on Instagram and Facebook for updates and more news. Seek out your warmest clothes and come join us in Finse Feb 14th to 16th 2019. Photography by Emile Holba. Greetings Ice Music Fans of the world, we’re super happy to announce that we are returning to Finse, Norway in 2019 with festival passes on sale from August 1st and the festival line up and single concert tickets available on September 1st. Be sure to follow us on Instagram and Facebook for updates. Our move to Finse for 2018 was a huge success with audience members visiting from as far away as Australia and the USA. 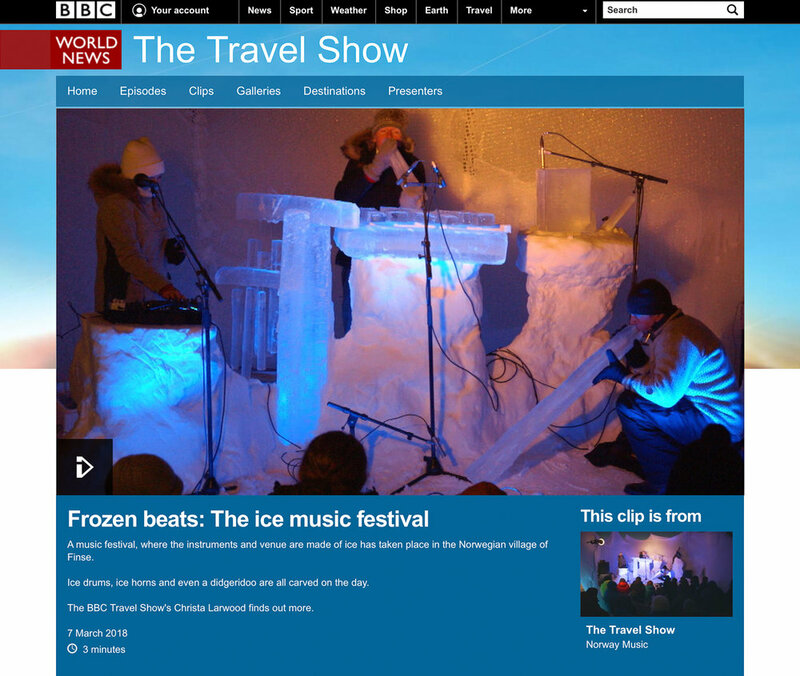 They loved the low temperatures, perfectly clear skies and, of course, the sublime sounds of Ice Music! You can grab a feel of 2018's vibe and construction efforts in this previous post called Process & Performance. 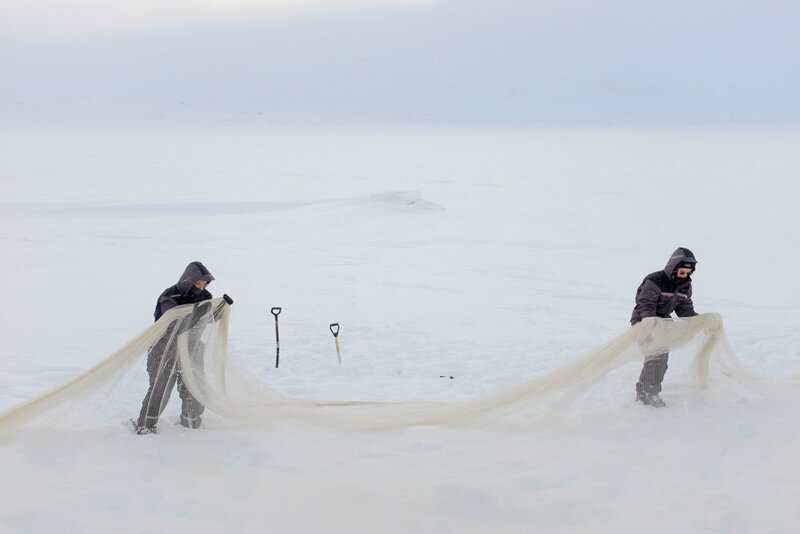 Such was the lure of Finse’s remote and wondrous, snow laden landscape, we took the calculated risk of producing 2018’s festival with the knowledge of Finse’s reputation for cold temperatures and harsh winds. To ensure we didn’t disappoint, we decided to produce a more intimate festival to minimise logistics - nothing too daring and grand, just pure, ethereal Ice Music. The audience reaction was ecstatic, all keeping warm together under a frozen roof. We shall be carrying the pure, icy theme into 2019. 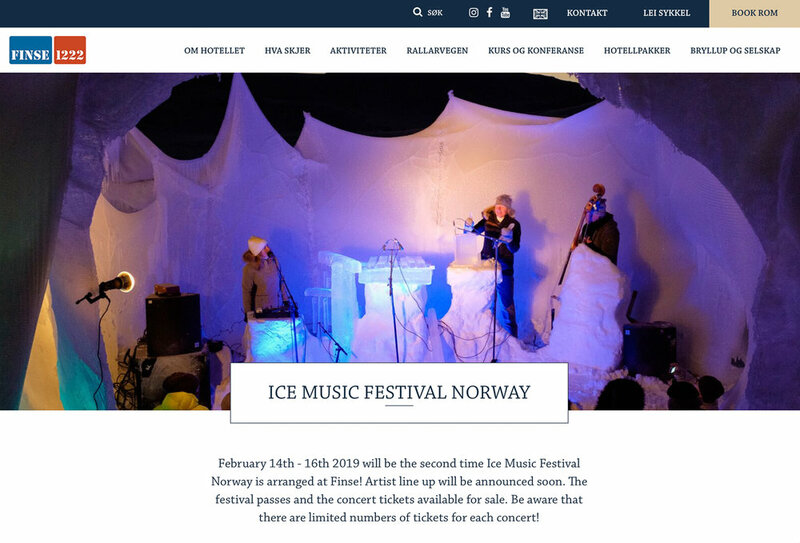 Keen-eyed observers will have noticed our subtle name change for 2019, as we are now called Ice Music Festival Norway. Terje Isungset is still the visionary artistic director and he will be performing his magic along with other incredible musicians in Finse in 2019. We just wanted a name that’s more embracing of the country that Ice Music originated from, along with allowing the potential of creating Ice Music in new locations across Norway’s vast landscapes and natural wonder. Please note that we a new Instragam account called @icemusicfestivalnorway but our Facebook page remains the same, just a name change. The PA system & concert lighting equipment delivered via snow mobile cross country from Haugastøl 17 miles away! Sublime light prevailed in 2018. How will the landscape look in 2019? Come join us to find out. Last night was sensational. The musicianship on display under bright moonlight in a perfect -24ºC across all 3 concerts was delicate, dynamic and really embodied the beauty and purity of sub-zero sonics that is Ice Music. You can buy you tickets online or rock up at reception at Finse 1222 Hotel. Please check the train times in and out of Finse, as this landscape is only accessible by train. We have quick cheat sheet of train times here. We look forward to welcoming you back into our #icemusicfestival2018 venue. We have no words to express how kind the weather has been to us today with a lovely, icemusic friendly -24°c and crystal clear skies. After a week of brutal wind and heavy snowfall creating havoc with our venue construction and instrument creation, the sunset over Finse acting as a wondrous backdrop to two fantastic ice music concerts, was a sight to behold. Congratulations to the whole team, from the amazing degree students from Norway's prestigious Faculty of Art, Music & Design, at the University of Bergen to the super talented musicians - Terje, Maria, Peter, Anders - who took on the challenge of making music. Tusen takk to the the crew of Finse 1222 Hotel, who've made us so welcome, and a very special mention & huge thanks to Even Rygg and Arild Sjåstad (Røde Kors) for bringing in the ice and audio equipment through extremely treacherous and arduous weather one snowmobiles from Haugastøl. EPIC. Our legendary midnight concert is to come, followed by another concert tomorrow at 17hrs!